This plugin allows you to cross-post your blog posts to your Facebook Wall. Your Facebook “Boxes" tab will show your most recent blog posts. P3 build build with -Ox -GLAs arch:SSE2 -fp:fast -GS-, for AMD Athlon 64, Sempron, Opteron processor family, Intel Pentium 4/D/M, Intel Xeon, Intel Atom, Intel Core processor family, and other modern CPU. Online Translator performs real-time translation for Albanian, Arabic, Bulgarian, Catalan, Chinese (Simp. ), Chinese (trad. ), Croatian, Czech, Danish, Dutch, English, Estonian, Filipino, Finnish, French, Galician, German, Greek, Hebrew, Hindi, Hungarian, Indonesian, Italian, Japanese, Korean, Latvian, Lithuanian, Maltese, Norwegian, Polish, Portuguese, Romanian, Russian, Serbian, Slovak, Slovenian, Spanish, Swedish, Thai, Turkish, Ukrainian, Vietnamese languages and their combinations. The Cooliris 3D Wall — Simply the fastest and most stunning way to browse photos and videos from the Web or your desktop. Effortlessly scroll an infinite “3D Wall" of your content from Facebook, Google Images, YouTube, Flickr, and hundreds more. Windows 7 ISO Verifier will verify your copy of the Windows 7 ISO. It couldn’t be any easier to use. Simply drag and drop an .ISO file onto this EXE, or double click on it and navigate to the file, then sit back and relax while it crunches the numbers. Once it generates a hash, it’ll compare it with a list of known and trustworthy hashes of ISOs to tell you exactly which build version and architecture it is known to be. This list will be updated live over the web so you won’t have to redownload the app. 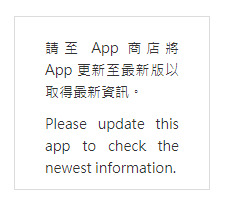 Posted in Microsoft 視窗. Tagged with win7. NetLimiter is an ultimate internet traffic control and monitoring tool designed for Windows. You can use NetLimiter to set download/upload transfer rate limits for applications or even single connection and monitor their internet traffic.